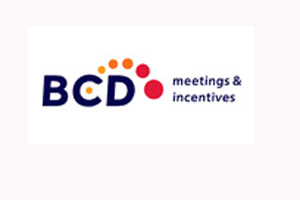 BCD M&I has recorded an operating loss of £1.27m in its annual accounts to the end of December 2009. The agency has filed its annual accounts at Companies House today, which show BCD M&I also incurred costs of £550,525 in restructuring. In his director’s report to the annual accounts, vice president finance EMEA Ian Wilson said: "The events industry is, like any other international business, affected by changes in both global and local economic conditions. This has affected the year under review unfavourably." The annual accounts show that revenue decreased by 44%, from £4.1m in 2008, to around £2.3m in 2009. After administrative expenses of £3.57m and restructuring costs of £550,000, the total loss before tax was £1.8m. However, the agency is expecting to return to profitability this year. Profit in 2008 was £467,000. "Current indications are that the company will return to profitability in 2010," added Wilson in the director’s report. "The company has returned to expanding its European operations, primarily in the area of strategic meetings management for global clients."